K Gowtham kumar and KS Anandh, “An integrated measurement and management of customer facilities in the construction industry”International Journal of Research in science and technology, May 2015, 2(1)56-62. M. Balasubramanian, K.S.Anandh, T. Praveen kumar“ Study and Assessment of Rural Roads Network in Agriculture Productivity “International journal of Technology Vol. 5(2)july-Dec 2015. K. S. Anandh and K. Gunasekaran, ”Constructing a Model to Examine the Influence of Quality of Work-Life on Work-Life Balance - Discernment of Civil Engineers from Construction Industry in Chennai” Indian Journal of Science and Technology, October 2016, Vol 9(40),1-12(SCOPUS). 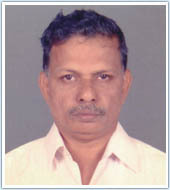 K.Prasanna, K.S. Anandh, S.Ravishankar” An Experimental Study on Strengthening of Concrete Mixed with Ground Granulated Blast Furnace Slag (GGBS)” ARPN Journal of Engineering and Applied Sciences, April 2017, Vol12 (8), 2439-2444(SCOPUS). Prasanna, K., Anandh, K.S. & Kiruthiga, K. 2017, "Study on high-performance concrete with the replacement of fine aggregate by manufactured sand", International Journal of Civil Engineering and Technology, vol. 8, no. 8, pp. 1502-1514.(SCOPUS). K. Prasanna J.S. Sudarsan and K.S. Anandh, ”Optimum utilization of sludge generated from sewage treatment plants at SRM IST, Kattankulathur”, Journal of Mines, Metals & Fuels, January 2018, 17-20(SCOPUS). K.S.Anandh and K.Gunasekaran, “An Investigation on Stress Among the Professionals In the Indian Construction Industry”,1-7pp April 2018, Construction Research Congress 2018: Safety and Disaster Management - American Society of Civil Engineers (ASCE).(SCOPUS). K. S. Anandh, K. Prasanna, and Helen Joseph ,“Investigation Employee Retention in Indian Construction Industry”, Journal of Advanced Research in Dynamical and Control Systems, July 2018,10(8),1089-1094. (SCOPUS). K. S. Anandh, K. Gunasekaran and Della Sunny, “An Empirical Investigation: Exploring The Work-Family Interface of Construction professionals – A Review ”, Journal of Advanced Research in Dynamical and Control Systems, July 2018,10(11),405-412. (SCOPUS). K. S. Anandh, K. Gunasekaran, and Kiran Jacob, “A Critical Review based on country wise Lifestyle of Construction Engineers ”, Journal of Advanced Research in Dynamical and Control Systems, July 2018,10(11),400-404. (SCOPUS). Prasanna K, Anandh KS, Vimalkumar S, and Edwin A, “Study on application of membrane technology in the treatment of effluent from dying industries in Erode, TamilNadu”, International Journal of Engineering and Technology(UAE),2018,7(3.12),304-308. (SCOPUS). Kiran.R, Anandh.K.S, and Prasath Kumar.V.R, “Influence of 4D Simulation in Construction Planning”, Proceedings of National Conference on Advanced Techniques in Civil Engineering, Karpagam University, March 15-2013. 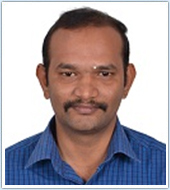 K Prasanna, KS Anandh, K Kiruthika.” Assessing the Strength of Concrete With Replacement of Fine Aggregate by Manufactured sand”International Conferences Advances in Civil Materials &Process, Coimbatore Institute of Technology, January 2015. KS Anandh, M Balasubramanian, S Ramanathan,” Quality, Safety and Time management in Construction Industry - A model incorporating precautionary measures for adoption”, International conference on emerging trends in engineering research, Vel’s University, Chennai, April 2015. M.Balasubramanian, Anandh KS, V S Saroja “Framing a network model for dynamic construction industry “, International conference on theory and practical relation in engineering, 27th March 2016, Chennai. Anandh KS, Gunasekaran K, Manna Simon “Developing A Conceptual Module For Ensuring Quality Assurance Of Major Construction Works”, International Conference on Disaster Management and Civil Engineering-2016 (ICDMCE'16), 22nd & 23rd April 2016, AVIT Chennai. Anandh KS, K Prasanna, M.Malavika “A Detailed Study On The Impacts Of Job Support Factors Affecting Efficiency In Construction Engineers” International Conference on Disaster Management and Civil Engineering-2016 (ICDMCE'16), 22nd & 23rd April 2016, AVIT Chennai. K Prasanna, Anandh KS “Study on Optimum Utilization of Sludge from Sewage Treatment Plants”, International Conference on Research Methods in Engineering and Technology (ICRMET),3rd July 2016, Hotel Ramee Guestline, Tirupati. Prasanna K, Lakshminarayanan B, and KS.Anandh” Study on strength of concrete by partial replacement of river sand with sawdust and robosand” International Conference on Emerging Trends in Engineering Research (ICETER 2016), 20th -21st October 2016, Vel’s University, Chennai. M. Balasubramanian, S. Senthil Selvan, K.S Anandh, and Ranjini J Pillai “Risk Analysis and Decision Making In Construction Projects by Fuzzy Logic Model”, International Conference on Emerging Trends in Engineering Research (ICETER 2016), 20th -21st October 2016, Vel’s University, Chennai. 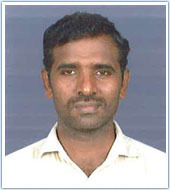 K.PRASANNA, K.S. ANANDH, AND BHOGAVALLI SURYAVAMSI “A Study on Cracks in Structural Reinforced Concrete Elements” International Conference on Civil Engineering and Infrastructural Issues in Emerging Economies, (ICCIEE 2017) 17th – 18th March 2017, SASTRA UNIVERSITY, THANJAVUR. RAJPRASAD.J ANANDH K.S, MOHAMMED MUKTAR “An Experimental Investigation on Utilization of Copper Slag As Fine Aggregate In Cement Concrete” International Conference on Civil Engineering and Infrastructural Issues in Emerging Economies, (ICCIEE 2017) 17th – 18th March 2017, SASTRA UNIVERSITY, THANJAVUR. K.Prasanna, KS Anandh , Lakshmi Narayanan, “A Study on Untilization og Granite Slurry Generated from Stone Processing Industries in Building Materials” International Conference on Smart Technologies and Green Environment,23rd March 2017 , Vellamamal Engineering college, Chennai. K.Prasanna, KS Anandh, A.Edwin, T.Sundar,” A study on the usage of blast furnace slag as coarse aggregate in self-compacting concrete” International Conference on Recent Advancements in Civil Engineering 2017 (ICRACE 2017) on 26th and 27th April 2017, AVIT Chennai. K.S. Anandh, K.Prasanna, Neilu Suresh,” A study on green building and its barriers in Indian construction sector”, International Conference on Recent Advancements in Civil Engineering 2017 (ICRACE 2017) on 26th and 27th April 2017, AVIT Chennai. K.S.Anandh and K.Gunasekaran, “AN INVESTIGATION ON STRESS AMONG THE PROFESSIONALS IN THE INDIAN CONSTRUCTION INDUSTRY”, Construction Research Congress 2018: Safety and Disaster Management - Selected Papers from the Construction Research Congress 2018 - Volume 2018-April, 2018, Pages 1-7, CRC 2018; on 2nd – 4th April 2018, New Orleans; United States of America. K. S. Anandh, K. Prasanna, & Helen Joseph, “Investigation Employee Retention in Indian Construction Industry”, International Conference on Theoretical & Experimental Advances in Civil Engineering-ICONTEACE 2018 on 10-12 May 2018, SRMIST, Kattankulathur. K. S. Anandh, K. Gunasekaran & Della Sunny, “An Empirical Investigation: Exploring The Work-Family Interface of Construction professionals – A Review ”, International Conference on Theoretical & Experimental Advances in Civil Engineering-ICONTEACE 2018 on 10-12 May 2018, SRMIST, Kattankulathur. K. S. Anandh, K. Gunasekaran, & Kiran Jacob, “A Critical Review based on country wise Lifestyle of Construction Engineers ”, International Conference on Theoretical & Experimental Advances in Civil Engineering-ICONTEACE 2018 on 10-12 May 2018, SRMIST, Kattankulathur. K S Anandh , K.Prasanna , K.Gunasekaran & K S Aravinth, “An Exploratory Study on Lean Teaching Adoption Rate Among Academia and Industry in Indian Scenario”,, 26th Annual Conference of the International Group for Lean Construction-IGLC 2018, 18-20 Jul 2018, Chennai. One-day international symposium on “3D printing in concrete”8th August 2016, IIT, Madras. Two-day workshop on “Hands on experience using SPSS & AMOS” 11th -12th August 2016, SRM Institute of Science and Technology. National seminar on “Best Practice That Favor Industries to Comply with the Environmental Regulations”, 26th November 2016, IIT Madras. Workshop on “Advanced Research Training on Covariance – Based Structural Equation Modeling and Partial Least Square Equation Modeling” 28th December 2016, IIT, Madras. Annual Conference NAOP “Psychology and Future of Work”, 29th -31st December 2016, IIT, Madras. Workshop on “Effective Writing of Engineering Journal Paper and Thesis”, 16-17th March 2017, SRM Institute of Science and Technology, Kattankulathur. Lecture series on “Lean Construction” 31st July – 4th August 2017 IIT Madras. FDP on “Design of steel structures”, 18th – 22nd December 2017, BHIER, Chennai. Assistant Professor (Sr.G), SRM Institute of Science and Technology from July 2017 to till date. Completed American Heart Association (AHA) accredited Basic Life Support (BLS) Provider Course from TACT Academy, Anna Nagar on 27.06.2012. Completed American Heart Association (AHA) accredited Advanced Cardiac Life Support ( ACLS) Provider Course from TACT Academy, Anna Nagar on 29.06.2012. Completed American Heart Association (AHA) accredited BLS Instructor Course from TACT Academy, Anna Nagar on 08.01.2013. Completed American Heart Association (AHA) accredited ACLS Instructor Course from TACT Academy, Anna Nagar on 31.01.2013. G.Shankar Ganesh, Rishee Patel, Vikram Dwivedi, Deepak Chhabra, P. Balakishore, Anandhi Dakshinamoorthy, Parminder Kaur, “Leisure time physical activity patterns in Odisha, India” in Diabetes & Metabolic Syndrome: Clinical Research & Reviews 2017 Sep 22. Pii: S1871-4021 (17)30304-1. Doi:10.1016/j.dsx.2017.09.009. D. Anandhi, Aswathy.S, Keerthiga.L, V.P.R.Sivakumar, “Effects of posture on respiratory functions in smartphone users: an observational study” in International Journal of Pharma and Bio Sciences 2017, Oct;8(4): (B) 471-477. D.Anandhi, P.Deekshitha, V.P.R.Sivakumar, “Immediate effect of Proprioceptive Neuromuscular Facilitation (PNF) of respiratory muscles on pulmonary function in collegiate students” in International Journal of Pharma and Bio Sciences 2017, Oct;8(4): (B) 508-512. Prathiba Satyala, D.Anandhi, “Comparison of aerobic training versus resistance training in stage 1 hypertensive males” in International Journal of Academic Research, ISSN: 2348-7666; Vol.4, Issue-12(1), December 2017. Ganesh, Shankar; Kumari, Ranjita; Pattnaik, Monalisa; Mohanty, Patitapaban; Mishra, Chittaranjan; Kaur, Parminder; Dakshinamoorthy, Anandhi, “Effectiveness of Faradic and Russian Currents on Plantar Flexor Muscle Spasticity, Ankle Motor Recovery and Functional Gait in Stroke Patients” in Physiotherapy Research International DOI: 10.1002/pri.1705, 2 Jan 2018. Nivethika,D. Anandhi, "Effectiveness of retrowalking on Hamstring flexibility and dynamic balance in young collegiate students" in International Journal of Yoga, Physiotherapy and Physical Education ISSN: 2456-5067, Volume 3; Issue 1; January 2018; Pg. No. 197-201. D. Anandhi, Vaishali.R, V.P.R.Sivakumar, “Sports injuries among young basketball players –a retrospective study.” in International Journal of Yoga, Physiotherapy and Physical Education ISSN: 2456-5067, Volume 3; Issue 1; January 2018; Pg. No. 246-249. D. Anandhi, Gokila. D, V.P.R.Sivakumar, "Comparison of Functional Tasks Exercise versus Resistance Exercise to Improve Grip Strength and Hand Function in Elderly Population." in Journal of Physiotherapy Research 2018,Vol.2 No. 1:15, February 22, 2018. 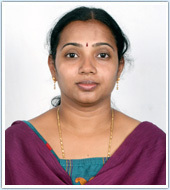 D. Anandhi, K.I. Jagaa Jananee, V.P.R.Sivakumar, “Influence of preoperative physiotherapy on respiratory muscle function and quality of life in laparotomy patients”. D. Anandhi, C.Harish, “Association of pulmonary function test and pelvic tilt positions in obese individuals”. Anbarassan. A., Chinnadurai. M and R. Sangeetha. 2018. Price Forecast of Turmeric in Tamil Nadu: An Economic Analysis. International Journal of Agriculture Sciences, 10 (7): 7064-7066. Anbarassan. A., Chinnadurai. 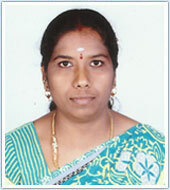 M, Sangeetha. R and Uma Gowri. M. 2016. Decadal variation of population and Agriculture Labour Availability in Tamil Nadu. International journal of Bio-resources and stress, 531-535. Anbarassan. A., Chinnadurai. M, Karthick. V and Balamurugan. V. 2016. Role of Foreign Direct Investment in the growth of Indian Economy. An Economic Analysis. Progressive Research, 43-45. Participated in the workshop on “An enterprising Mushroom Biotechnology” Organized by TNAU during 26th March, 2017. Participated and presented an oral paper in 21st Agricultural Science Tamil Conference” organized by Tamil Nadu Agricultural university, Coimbatore during 5th & 6th August, 2016. Attended the National Seminar on “Doubling Food Production by 2025” jointly organized by TNAU, Coimbatore and State Planning Commission, Chennai on 23rd & 24th January 2015. Attended two days Training on “Entrepreneurial Skill Development Training on Value Addition and Export Promotional of Jasmine” Conducted by the TNAU on 29th & 30th, May, 2014. 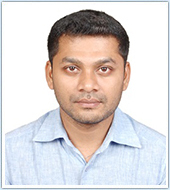 Participated and presented a paper entitled “An Economic Analysis of Resource-use Efficiency of Modernized Method of Rice Cultivation” in First Agricultural Graduate Student Conference organized by Tamil Nadu Agricultural university, Coimbatore, during 02-03 May, 2013. Participated in the workshop on “Time Series Modeling and Applications” conducted by Madras School of Economics during 19th -21st August, 2013. Participated and presented an oral paper in the International Conference entitled, “System of Rice Intensification SRI) and its Implications Over Food Security and Farmer Sovereignty. In: Global Vision on Food Security. 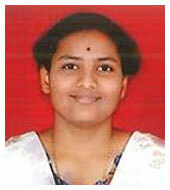 Organized by St.Ignatius College of Education, Palayankottai on 3rd & 4th May, 2013. Participated in the workshop on “Application of Statistical Software Packages” conducted by the department of Statistics, Bharathiar University, Coimbatore during 18-19 February, 2010. 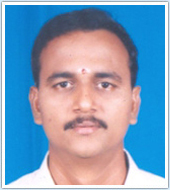 Worked as Senior Research Fellow in the project “Developing Agribusiness Models Linking Farmers Group and Farmer Producer Organization to Market through Value Chain Management”, at Centre for Agricultural and Rural Development Studies, Tamil Nadu Agricultural University, Coimbatore (1 year, 9 months). Rural Development Officer in Union Bank of India (2 years). Pediatric occupational therapy especially in Cerebral Palsy, Neuro-Developmental Therapy, Autism, ADHD, Learning Disability and Sensory Integration therapy. Attended a five-day soft Skills Training Programme conducted by Infosys at Chennai from 23th to 27 September 2007. 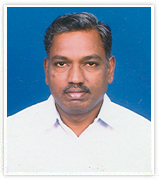 Attended a one-day Training Programme on Communication Skills Laboratory at Anna University on 06 January 2007. Participated in the “National Workshop on Effective Second Language Learning” organized by the Department of English & Foreign Languages, SRM Institute of Science and technology held on 5-6th April 2006. 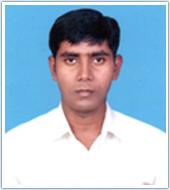 Participated in the Faculty Development Programme organized by the Department of English, Sri Muthukumaran Institute of Technology, Chikkarayapuram, Chennai on January 23, 2004. Attended a five-day Orientation Programme on’ English Communication Practical’ conducted by DOTE from 12.01.99 to 23.01.99.